President Juan Manuel Santos‘ enjoyed a slight lift of his approval rating after winning a Nobel Peace Prize for signing peace with the FARC. But, it’s been downhill for him since then. Santos was never really popular, only shortly after he was elected and still enjoyed the support of his predecessor Alvaro Uribe. When after years of excruciating negotiations with the country’s oldest and largest rebel group, the president signed peace and he subsequently won a Nobel Peace Prize in October last year, his approval rating increased to 39%, the highest it had been since 2014. 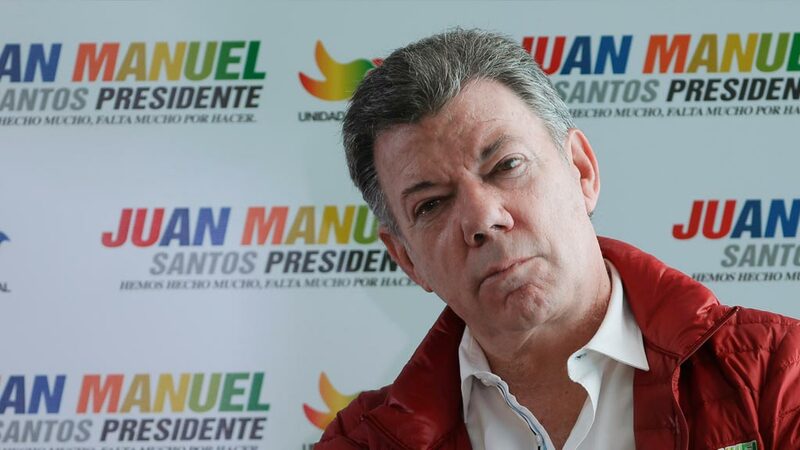 However, the continuation of corruption scandals that have marred Santos’ administrations, fierce opposition of his predecessor and major problems with the implementation of the FARC peace deal caused his approval rating to drop to 24%. Santos’ approval rating is mainly due because Colombians fail to see the peace and prosperity their president has been promising since he took office in 2010. According to 62% of polled Colombians, the situation in Colombia has worsened under Santos, in spite of his historic peace agreement with the FARC. The discontent is felt mostly in the south and west of the country, areas traditionally neglected by the Bogota-based national government. Particularly healthcare is a thorn in the eye of Colombians. The country’s failing healthcare system the president just doesn’t seem to be able to get a grip on resulted in an 84% disapproval rating. A record 83% of interviewees said they rejected the president’s economic policy weeks after the government raised the sales tax fro 16% to 19%. Santos’ disapproval rating also broke records in terms of employment. While the government keeps boasting lowering unemployment rates, 86% of Colombians disapprove of the government’s labor and unemployment policies.